Happy Monday! Today has been the best, hanging out with my two little men and husband. I love when the boys have a day off from school, because we get the entire day to just relax and have fun together. The weather here this week has been pretty amazing. Today is a high of 75, and I’m all about that! I forgot how nice it was to actually see the sun! It had me excited to pull out my new white skinny denim, and these adorable cutout ankle boots that are perfect for spring. 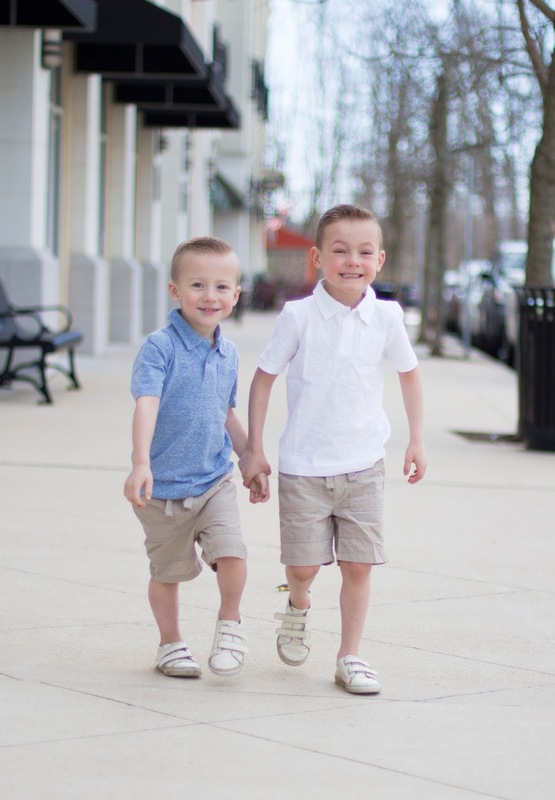 The boys were excited to finally be in shorts again too! 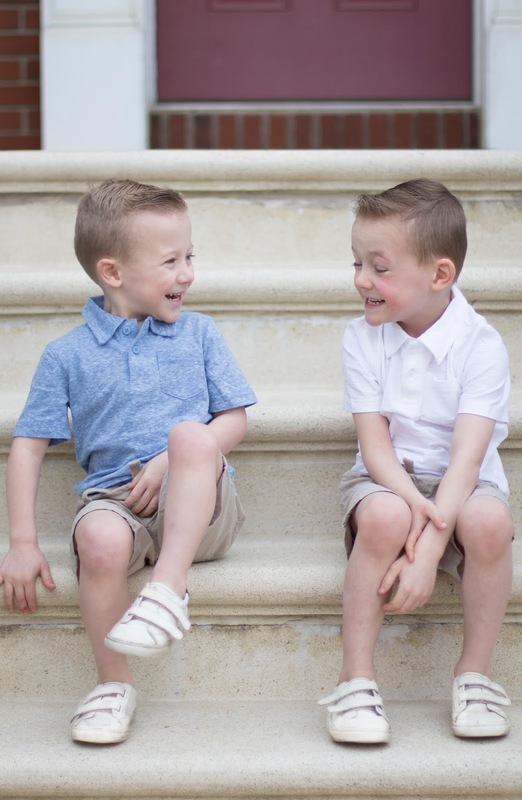 I found these simple yet classic childrens polos and khaki shorts from the Jumping Beans Section at Kohls. I stocked up on shorts and tees for the spring/summer, because they have the perfect every day clothing for a great price! Speaking of a great price. You guys, I couldn’t believe my receipt after I purchased everything! I had a little shopping bag reveal with my husband, and had him guess how much I spent. He couldn’t believe it either! I think it’s safe to say I will be shopping at Kohls a lot more often! Everything I’m wearing is on sale, so hurry before prices go back up again! 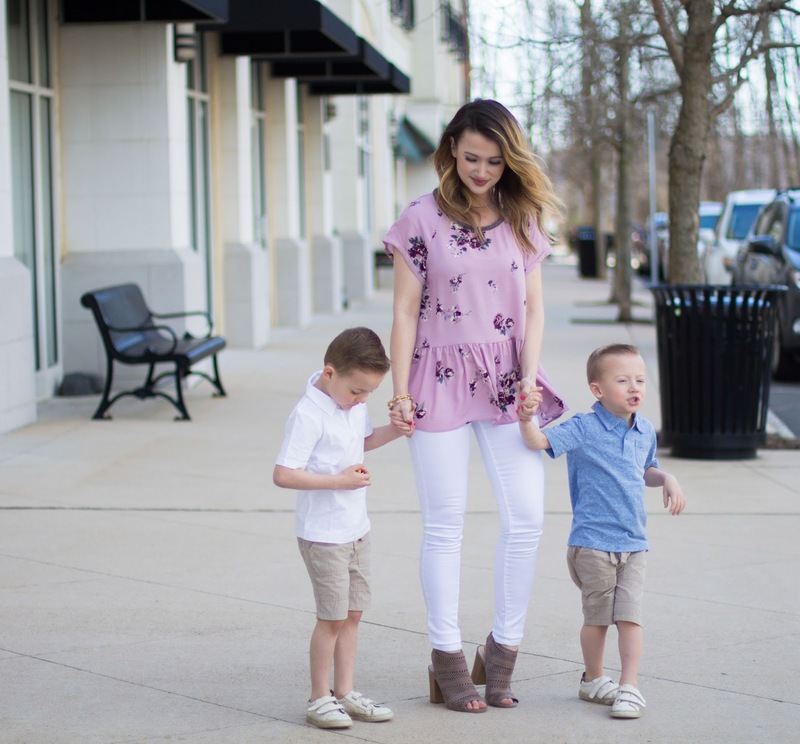 Thank you Kohls for gifting me this adorable clothing for the boys and I, and for sponsoring todays post. As always, all opinions are my own.